Pipe was on today and everyone was on it. Not crazy crowded, but if you didn’t know what you were doing you had no place being there and the line up got thinned out pretty quickly. Weirdly enough I think there are a lot of people out there surfing that don’t even try to take waves, they just want to say they were surfing pipe on a big day. 40-50 guys out and the 3 hours I was there maybe 20 different guys caught waves. Freddy P showing us what not to do on a wave, he dropped into a huge set wave after this but my shot was blurry so the falling picture is going to have to do. 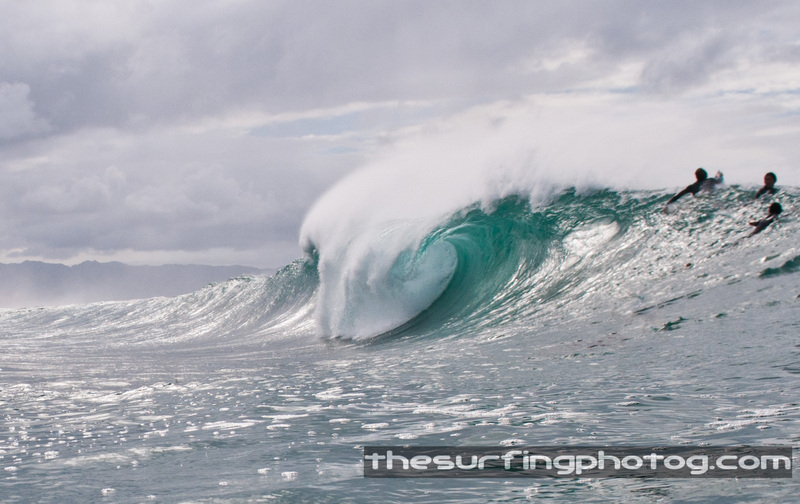 This entry was posted on December 7, 2011 by the surfing photog. 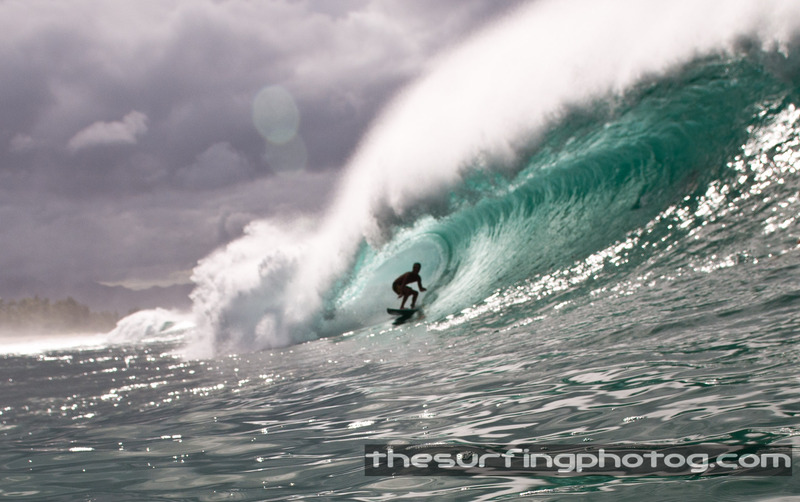 It was filed under Backdoor, North Shore, Off the Wall, Photography, Pipeline, Pro's, SURF, surfing, Water Angles . Wow, were you out in the water or using a very long lens from shore? It’s incredible action you managed to capture. I imagine it’s tae some time before you get shots like these. Thanks Matt, I’m in the water, I don’t even own a telephoto, not my style. To be perfectly honest the physical skills out does the photography aspect on days like this. I haven’t been shooting water photography for very long but training for this winter in Hawaii for months.